Once again, its another episode of America's Next Top Model! I'm quite surprised that I'm faithfully blogging about it this cycle, cuz normally I would be so bored and lazy by the first half of it! BUT ANYWAYS! HERE'S TO RECAP OF EPISODE 14!!! Jourdan won best photo and decided to share the prize with Cory! This came as a huge surprise to Cory because Jourdan and him wasn't on really good terms to begin with. 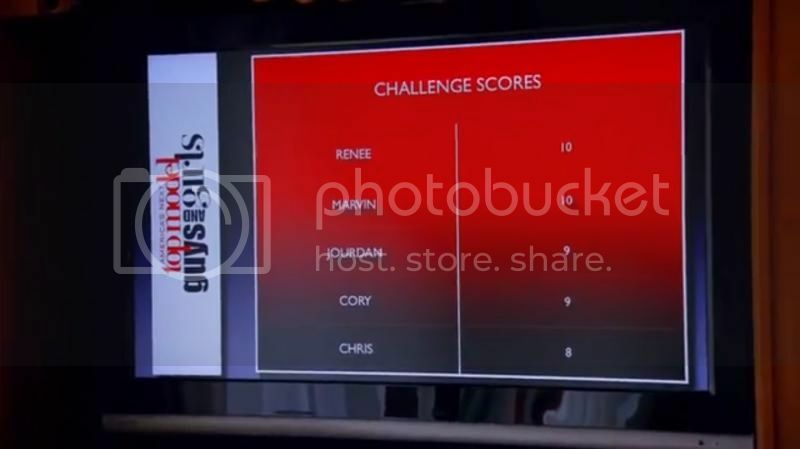 Then, the drama starts, with Renee, Cory and Jourdan teaming up against Chris on Nina's departure from the competition! It was a heated argument! You guys have to really watch it yourself!!! Then came the Tyra Mail. Only the strong will smize! The models guess that they're gonna be doing a physical challenge, like maybe exercising or such, and they're right! For the challenge, the models will have to do a Top Model Workout Challenge, consisting of 3 components. and whoever who got the fastest timing gets a 3 second head-start on the 3rd challenge (Be On Top Run), and this challenge will be a male vs male, female vs female. In the end, Marvin won the 1st and 3rd component, Cory won the 2nd. For the female models, Renee won all 3 components which makes both Marvin and Renee the winner! The models are doing a photoshoot at the bat temple, and they're posing as bats, not only that! They're also doing the photoshoots hanging upside down! LOL!!! Renee and Chris struggled in the photoshoot, Renee went unconscious halfway thru the photoshoot, while Chris was just hanging there doing nothing with his shoots. Tyra then revealed that this will be a double elimination as well, and next week will be the finale already! Jourdan got best photo and Marvin got 2nd best, This lead Cory, Renee and Chris in the bottom 3! 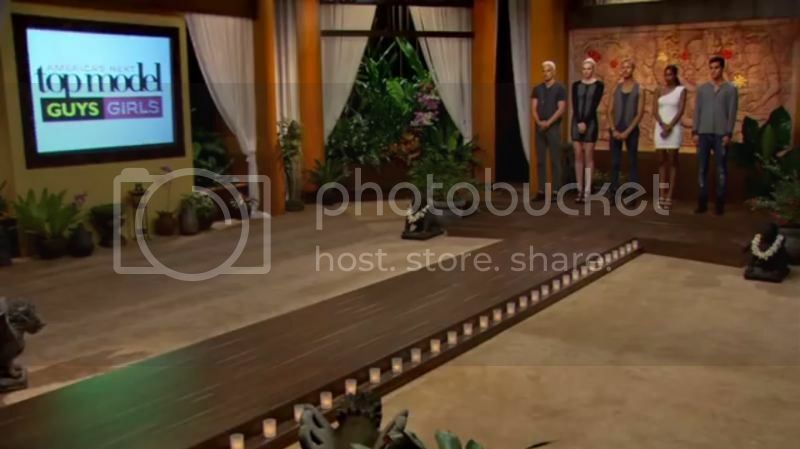 It was Renee and Chris that got eliminated! 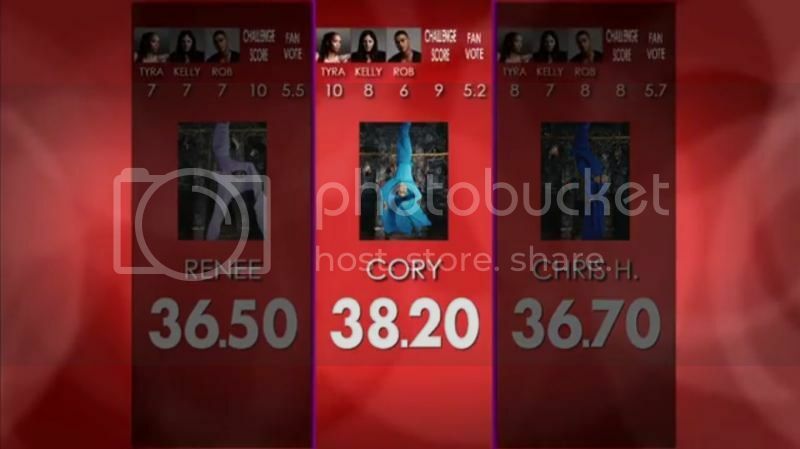 It was a relive cuz I was rooting for Cory! Stupid Rob for giving him such a low score! HERE ARE THE TABULATED SCORES FOR THIS WEEK! Now enough of the long wait! 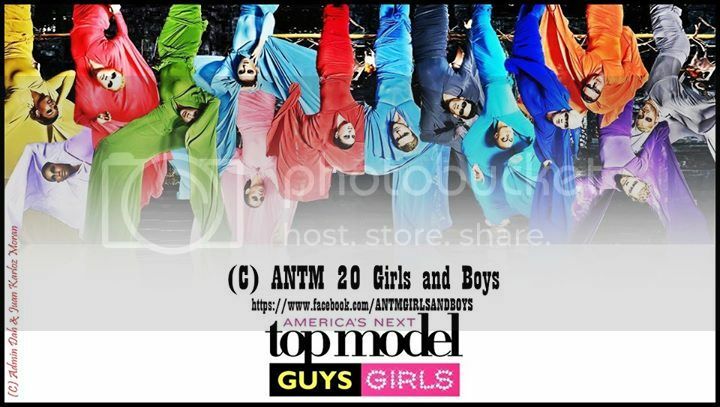 Here's ANTM Cycle 20 Episode 14!! !